Hans Haacke (b. Cologne Germany, 1936) and David Shrigley (b. Macclesfield, England, 1968) have been awarded the next two commissions for Trafalgar Square's Fourth Plinth. Their works will be the 10th and 11th to appear on the Fourth Plinth since the commissioning programme's launch. 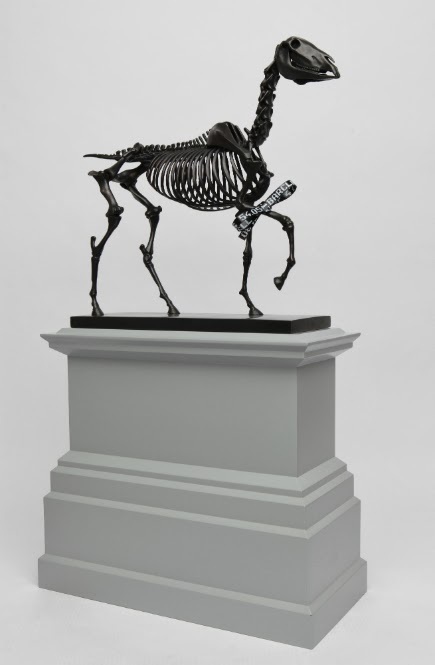 Hans Haacke’s Gift Horse, a skeleton of a riderless horse, will be unveiled in 2015. Attached to the animal’s front leg is an electronic ribbon displaying a live ticker of the London Stock Exchange. The work provides comment on the plinth itself. Built in 1841, it was left empty after a lack of funds to build an equestrian statue of William IV. The work also references an etching by George Stubbs, an English artist renowned for his equine art. As such, Gift Horse reflects on themes of power, money and history. 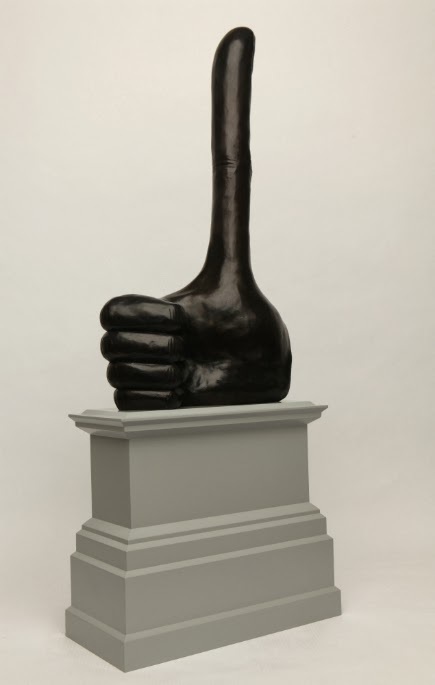 Cast with a disproportionately long thumb, David Shrigley’s Really Good will be unveiled in 2016. The witty yet simple 'thumbs up' gesture is intended to bring about positive feelings despite the nation's well-documented socio-economic problems and bad weather.